I’ve read a lot lately about blogging, about the aim of blogging, about the art of blogging, about the significance of blogging, about making money in blogging. There are a lot of successful bloggers out there. There are a lot of frustrated bloggers out there. I’ll bet every blogger out there asks the questions at least once—What am I doing and What, exactly, is the point? No longer do I feel that way. No longer do I strive for a monetary end to a four or five hundred word blog. I realized very quickly that blogging for me was not going to be a way to make money. I realized that money was not even the goal I hoped to attain. What I realized right away was that this blog was a way to share my journaling with others of like mind. I have journaled (is that even a real word or the correct spelling of such word?) for most of my adult life. Journaling has kept me sane; it has given me focus; it has put my life into perspective, it has served as my personal and ongoing conversation with God. In short, I need to journal. Daily writing has become a mandate for my life. But, many times there have been notes and scribblings in my journals that I have wanted to share with those I feel particularly close to—my confidants, my friends, my accountability partners. And so, blogging for me has become a way to confess my thoughts (whatever they may at a particular moment in my life) with those who might share such sentiments, who might be interested in such confessions and utterances, who might want to be entrusted with such personal and often anguished whispers from a questioning heart. That is why I am doing this. That is what this blogging thing is all about for me. The other reason I write these words on a semi-regular basis is that they provide a regimen and a discipline for my craft. This blog is a form of exercise (and exercise is one of those things I am in dire need of—physically, mentally, and spiritually). An exercise in writing is what this blog is for me. If I am not writing, I truthfully cannot claim to be a writer. I am a writer only if I am actually writing. I am trying to write in a variety of venues, but by writing a blog, I can be assured that I am, at least, Writing. So, come into my private world: peer into my secrets, my dreams, my shame, my joys, my fears, my frustrations, my aspirations and life lists—come into my world and join with me. I may not always speak to each and every one who reads my blog. I may not resonate with every political leaning, with every religious pathway, with every life yearning. But I can at least invite everyone to walk alongside a fellow wayfarer. Together, we can walk life’s road. And I can share the moments of interest I notice along the way. The Spanish proverb goes, Con pan y vino, se anda el camino. With bread and wine, you can walk your road. So, come—Bring your bread. Bring your wine. Walk along with me. I am going to write everyday—if not here in this public space (most definitely not everyday), at least in my journal. Everyday. Whether that constitutes a blog or a novel or a Dear Diary entry, I am going to put something down in the form of words. 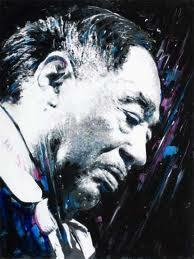 The truth is, like Duke Ellington said, I need to pout—Everyday. 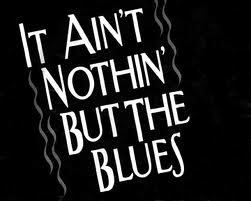 And I need to write some blues. Your words always resonate with me and linger throughout the day. Thank you for sharing yourself with others and with me. Well said. Written from the heart and soul. And inspiring. I hope to follow your lead with a few new thoughts and ideas of my own. I’ll look forward to your new thoughts and ideas. From one whispering heart to another, please keep the words coming. You are helping all of us on this paralell path to stay sane too! From one crazed writer to another, eh? I love strolling down the lane with you, Susan. Keep those words coming…they always strike a nerve and make me think…how does this apply to my life?